Ruppert and Depp recently partnered on a pop-up bookstore in Silver Spring called Loyalty Books over the winter holidays. The concept was successful, and they’ve decided to bring it to Upshur Street and rebrand the Upshur Street Bookstore as Loyalty Books. “We’ll focus on children’s books, diverse and intersectional fiction and nonfiction, and host book clubs, readings, and work closely with the Petworth Citizen Reading Room to provide more unique programs and build upon their successful literary cocktails,” Depp said. The Loyalty bookstore pop-up in Silver Spring. The concept now moves to Upshur Street. Depp said that she sees the remodeling of the store as a similar investment as Willows and Lulabelle’s recent remodels on Upshur Street, and the forthcoming She Loves Me florist and craft space. “I am so excited to invest myself officially in this community as a business owner and push forward what a bookstore can offer,” Depp said. 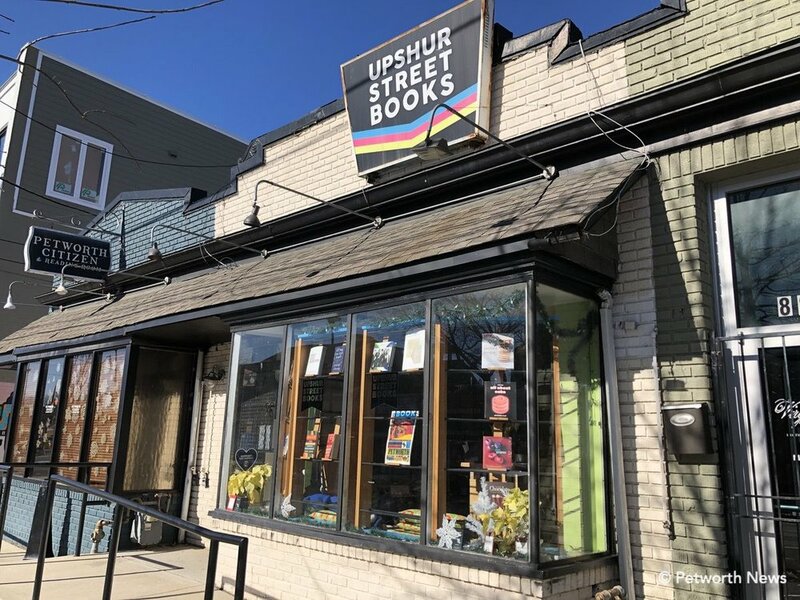 Upshur Street Books has become a cultural icon in the neighborhood, hosting sing-alongs for children, author readings, and even having a particularly well-liked customer swing by one Saturday. It’s good to see that the bookstore will be remaining on Upshur Street.